Show starts 8pm. Friday Dec. 27th. Traditional country musician Jim Avett of Concord NC put his family first and spent 35 years building bridges in order to provide for them. This paid off in many ways not the least of which is the influence he had on his two sons Scott & Seth, The Avett Brothers. As a reward for a life well lived, in his retirement Jim has focused on his early love of playing guitar, singing and writing songs, an unbroken thread throughout his life. Jim Avett’s first paying gig was playing Beethoven & Bach on violin on a live radio show. The son of a Methodist minister and a classical pianist, Jim grew up in a home full of love and music. Jim’s guitar was ever present and there was always singing. 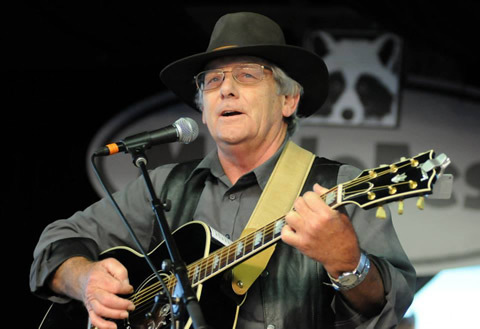 After retiring in 2008 he recorded “Jim Avett and Family,” a collection of gospel music, with his children, Bonnie, Scott and Seth. Soon after, in 2010, he released “Tribes,” a collection of original tunes ranging from soulful ballads to the lighthearted, “Fight with a Bottle of Booze”. In Jim’s latest offering, “Second Chance,” the influences of classic country and early rock and roll are apparent. You can find Jim performing in listening rooms and at festivals (such as Merlefest) from the Southeast to New England. His shows are a combination of beloved country tunes and his original ballads with the stories he tells to introduce them. One comes away from a Jim Avett performance with the feeling that this is an honest man sharing his life and his love of music. It’s like spending the evening on the front porch singing and talking with a good friend. Making her second appearance at Barking Legs, this time with her full band, Mandi Rae from Birmingham is one of the performers who is posed to take back country music from the over commercialized grip of the Nashville establishment and give us a genuine taste of the sincere, straightforward narrative and powerful voices of the real south. Always known for being full of humor and straight to the point, Mandi Rae has a natural affinity for entertaining and offers a refreshing break from any of the standard expectations in today’s Americana or Country styles. More in line with Jonathan Richman lyrically and Loretta Lynn in presentation, Mandi Rae’s good humor and lively stage presence has been tempered of a late by the tragic loss of her husband, leaving her with two little girls to raise along with a blossoming music career. The intensity evident in Mandi Rae’s Music city Roots performance shortly after her husband Pasco’s death shows an incredible determination to persevere and utilise her gifts in spite of the tremendous blow to her life. Her natural combination of wit, humor and natural storytelling ability built into her songwriting has been there since her earliest appearances. The unexpectd tragic circumstance is creating, within a very real human scenario, one of the most intense crucibles of creativity for southern music we have seen so far this decade. 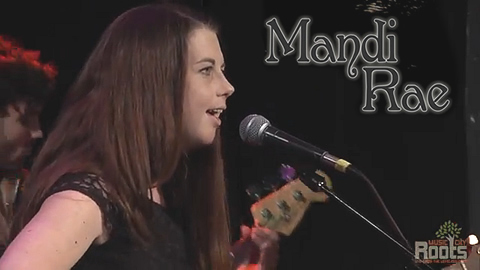 I for one am going to be watching Mandi Rae very closely. All her rustic edges are the real thing. Go to www.myspace.com/mandirae/music/songs and get an earful of Mandi Rae’s early recordings, punchy tunes, home-made philosophy and truly fulfilling narrative songwriting. 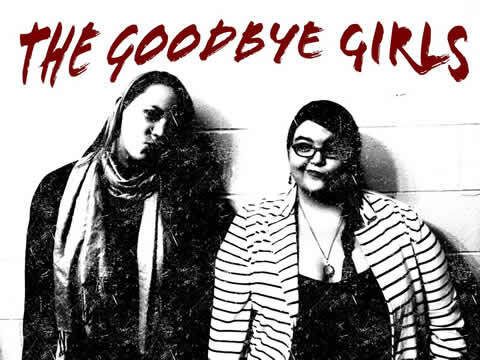 The Goodbye Girls are Chattanooga duo Hayley Graham and Amber Fults. When these two powerful voices combined for their debut at last month’s “After Thanksgiving Music Extravaganza” with artists selected by Ryan Oyer this duo was one of the knockout performances of the evening. With surprising harmonies and vocal structure that excels far beyond any straight up singing duo they have the natural potential to be the most interesting teamup to come out of Chattanooga’s current whirlwind of musical activity. You probably have seen Amber & Hayley separately in one of their many performances around town in collaborations with the city’s most active musicians and groups. Amber’s full band, The Ambivalent Lovers, won the headlining spot for the Road to Nightfall competition in 2013 And Hayley has added the kind of vocal backing to various local bands that make them sound like top notch professionals. These two are natural talents who display very little reservation in letting loose with the goods which they are gifted. A dynamic evening of entertainment is expected from all these musicians at Barking Legs on December 27th. Country after Christmas, the real stuff too. not sanitized Nashville slickpop. More info to come.